Arfadia, as the best digital agency in Jakarta, is experienced in presenting SIDIA as a facilitator of teaching and learning activities with modern technology. SIDIA stands for Arfadia Education System which is produced by PT. Arfadia is one of the leading companies engaged in Information and Multimedia Technology in Indonesia. SIDIA is a software (software) as an educational learning media. This child education application is suitable for students in a variety of ages, from elementary, middle school, to high school, which covers a variety of subjects ranging from Mathematics, Indonesian, Science, Social Sciences, and Information Technology. With the abundance of content that SIDIA has, it allows users to learn various subjects in one application. This is certainly more practical and can save time because as users, Students and Teachers only replace other subjects that they want to learn later without the need to change textbooks. In the world of modern education, the use of educational software (software) is used to support teaching and learning activities in schools. With a large selection of educational software including SIDIA which contains modules on various lessons in schools, students have many choices of learning methods, in addition to using the usual textbooks. Not only helps the learning process of students, this educational application is very helpful also for teachers. This SIDIA education application can be used as a teaching material or reference for subject matter to be delivered when teaching students in classroom. 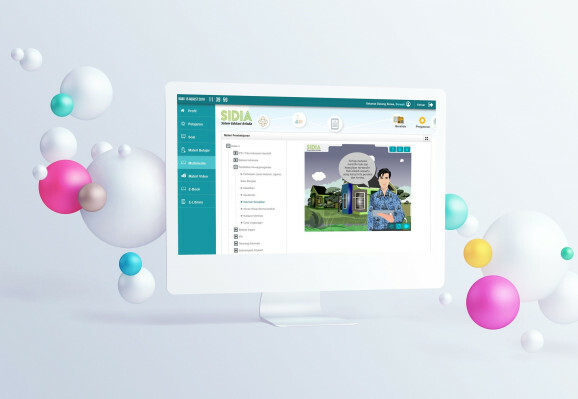 SIDIA is an e-content application that is designed in such a way as to maximize e-learning programs - both for schools that have provided multimedia facilities and have just plunged into this system. In addition, SIDIA is considered as the latest innovation that is friendly to elementary and middle school students, because the specifications are easily learned by students. The material provided is of course the latest curriculum has been adjusted and will continue to be updated. As a companion in e-learning learning media, what are the roles and benefits of SIDIA that the school will get? Furthermore, this education software turned out to be able to help students improve their self-confidence. This is due to the ease of access to information sources such as e-books and journals provided by SIDIA. 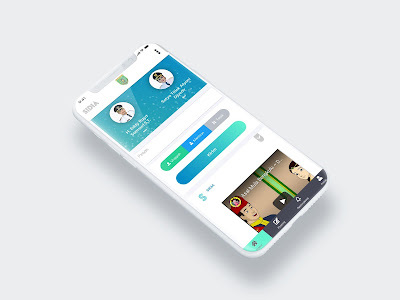 So, they do not have to depend on the teacher's explanation in the classroom; SIDIA allows teachers and school to upload other information such as class schedules, extracurricular activities, and other announcements. Teachers can also store value data and attendance lists for their students' assessment needs.